We had stamp club this week and I am excited to share our three projects with you. Now if you are a member of my Stamp Club to Go and you want to be surprised, don't scroll any further!! OK, so our first project was a card I CASED from Kylie Bertucci. As soon as I saw it, I knew I had to make it! What a clever way to use the new Blooming Love Thinlit! I changed it a bit to use the new Sale A Bration DSP called Wildflower Fields and the stamp set from the Occasions Catalog called Greatest Greetings. We also used the dandelion stamps from Balloon Celebration to coordinate with the dandelions on the DSP. 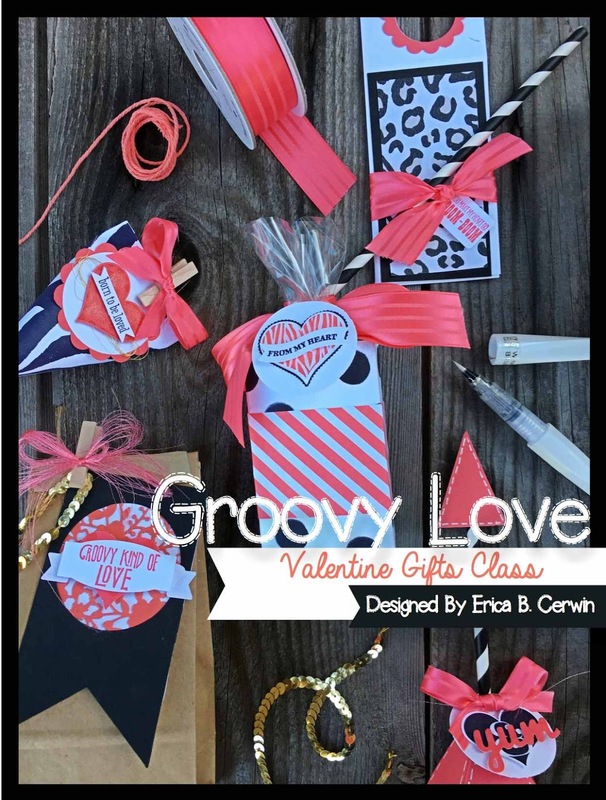 The third project is either a scrapbook page option or a card option both featuring the same products. We used the SaleA Bration stamp set called Flowering Fields and an Occasions Catalog set called Enjoy the Little Things. Isn't that font beautiful!? The card is just the same except on a smaller scale! The die cuts are from the Rose Garden Thinlits collection. So all my Club To Go members are receiving all three of these projects in the mail next week. I am currently taking new members to begin in February. If you are interested in joining my Stamp Club To Go, you can read all the details here. 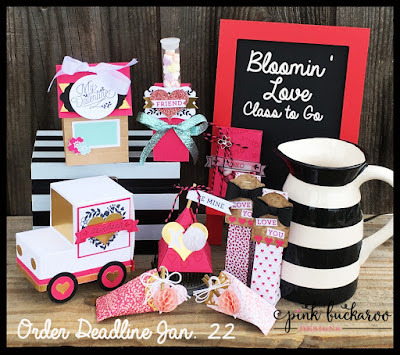 Email me to get on February's list! 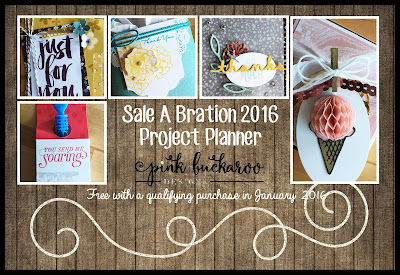 Earn a free project planner during all three months of Sale A Bration with a qualifying purchase! Details here. Thanks for the mention Erica! I love your take on my card. I think it's so cool using the Thinlits different ways. 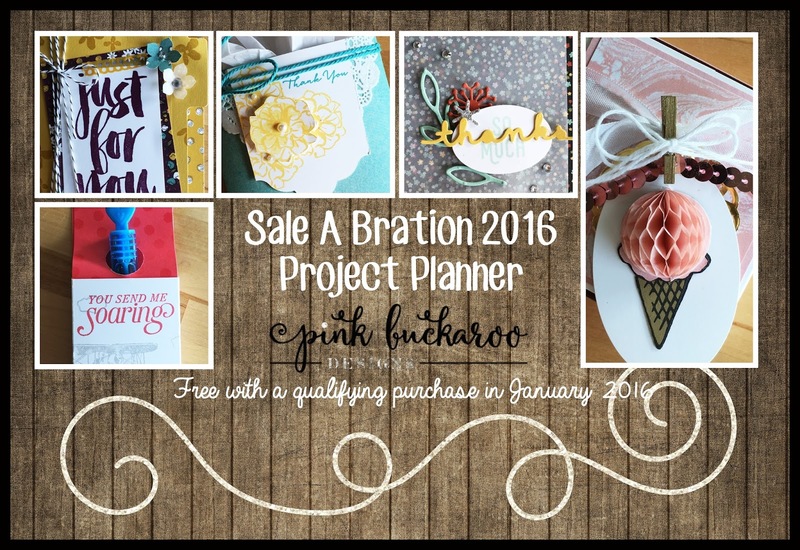 I've pinned all your projects. Just stunning.